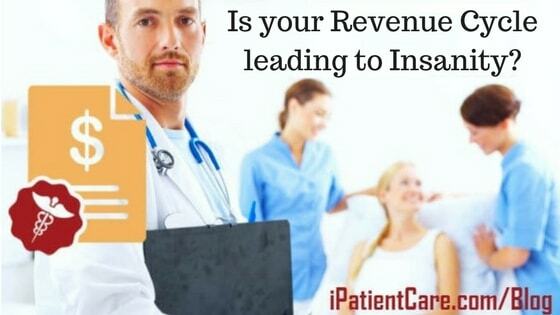 Is your Revenue Cycle leading to Insanity? Optimizing your revenue cycle means looking for opportunities across your entire practice. Have you been doing the same thing every year and still haven’t achieved the results in enhancing net revenue, maximizing cash flow or reducing operating costs? Nowadays, revenue cycle management programs are not flexible enough to account for the ever-changing healthcare environment and personnel changes. ROI’s are consistently lower than the expectation and any benefit achieved is often short-term in nature and is not sustainable. Can make your revenue cycle more accurate and efficient, verify insurance, reduce missed appointments, ensure precise coding, and limit denials, with help of technology. To identify optimization opportunities, firstly assess, secondly optimize and lastly, maintain the improved revenue cycle processes. If you are interested in achieving 40% reductions in cost or 35% increase in cash, you must have the necessary data at the right level of detail to make decisions in a timely manner. Must be able to make the necessary change in your processes or systems to support new regulatory requirements, staff changes or newly acquired workloads. Other than staff-intervention, observation, workflow, and data analysis must also evaluate all processes from patient access through customer service. You must have clear visibility into the performance of your revenue cycle team and the potential opportunities, when and where the performance levels can be improved. Use technology platforms to unlock cash and drive incremental revenue. Evaluate telephony solutions, so as to allow people to answer solutions over the phone and be more productive by reducing waiting time. The practices must look for new ways of doing business. There is continual pressure on finding ways to improve accuracy and effectiveness while driving down costs. At iPatientCare, Inc. we have an operating model with the above factors in mind that results in positive results.